Many, if not most stereo and home theater receivers have built-in multiroom audio features for enjoying stereo sound in multiple rooms or zones, yet it is a very under-utilized option. Using these features provides stereos music in multiple rooms or zones simply by adding speakers or speakers and external amplifiers. Some receivers only have outputs for zone 2, some have outputs for zones 2, 3 and 4 plus the main room. Also, some have audio and video outputs, however, this article will only cover multiroom audio. There are two types of multiroom audio systems: powered and non-powered, meaning the amplifiers are built into the receiver or must be purchased separately. All receivers are different, so consult the owner's manual for specific directions. Some receivers have built-in amplifiers for powering additional stereo speakers in another room or zone. This is the easiest and least expensive way to enjoy multiroom music because all you have to do is run speaker wires from the Zone 2 speaker outputs to the second zone (or room) and connect a pair of speakers. The amps built into the receiver are usually less powerful than the main zone amplifiers but are adequate for most speakers. Some receivers are multizone and multisource, which means you can listen to one source (perhaps CD) in the main room and another source (FM or other) in another room at the same time. The Speaker B option is another way to enjoy multiroom audio, but it does not include multisource operation and the source in the main room and the second zone will always be the same. In most cases, the multiroom options can be controlled via the front panel or the remote control for the receiver. Some home theater receivers permit the user to re-assign the surround channel speakers to a second or third zone. For example, a 7.1-channel home theater receiver might allow the user to assign the two surround back speakers to a second zone stereo system, leaving a 5.1-channel system in the main room or zone. These systems are usually multisource. The other type of multiroom system is non-powered, meaning that a stereo receiver or amplifier must be used in the remote rooms or zones to power the speakers. 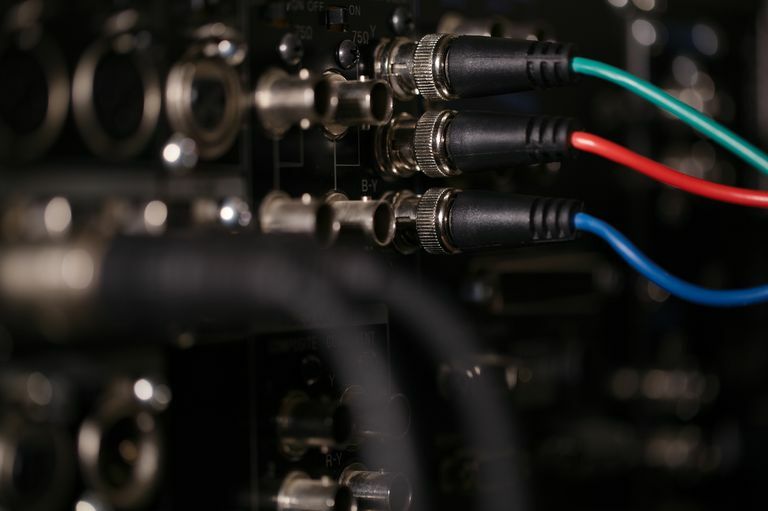 For a non-powered multiroom system, it is necessary to run cables with RCA jacks from the main zone receiver to the amplifier(s) in the other zones. Running RCA cables to another room is similar to running speaker wires to another room. In addition to running speaker wires or RCA cables to a second or third zone, it is necessary to run infrared remote control cables to control main zone components from another room. For example, if you want to operate the CD player in the main zone (living room) using a remote control from a second zone bedroom, you need to install an infrared control cable between the two rooms. Most receivers have IR (infrared) outputs and inputs on the back panel to connect IR cables. IR cables typically have 3.5 mm mini jacks on each end. Depending on the distance between the main zone and second zone, you might be able to use a Remote Control Extender instead of running IR control cables. A remote control extender changes infrared signals (IR) to radio frequency (RF) and will send the signal between rooms, even through walls.